How to work out what makes you tick. So that you can build a personal online presence based on your important ideas and share it with a niche audience. And bootstrap your way out of employment into a profitable and meaningful new career in the Global Ideas Economy. “There is a vitality, a life force, a quickening that is translated through you into action, and there is only one of you in all time. This expression is unique, and if you block it, it will never exist through any other medium; and be lost.” by Martha Graham, from Blessed Unrest. The worlds work and education are changing profoundly. They are going solo, mobile and global. In this rapidly changing economy, most of us are getting buffeted around in our jobs—which hurts. You may be feeling disillusioned. Needing an escape. Wanting inspiration and a new beginning—a new career. You can be part of the new Ideas Economy emerging online. The Internet has become an Ideas Platform where individuals can make a significant contribution and have a distinct competitive advantage. Ideas people thrive online. Creating the future with their visions. In an Ideas Economy your ideas are assets that may generate income. In this type of economy, people place the most value upon ideas that allow them to resolve their everyday predicaments and to significantly optimize their quality of life. These are the Stellar Ideas. How do I find my Stellar Idea? 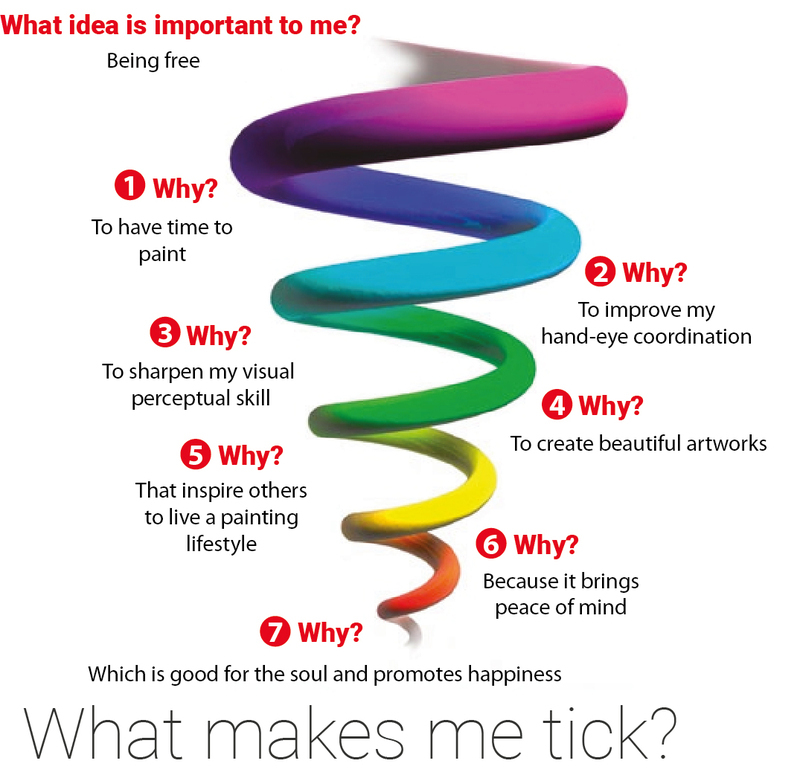 To contribute to the Ideas Economy you need to know what makes you tick. You are your ideas. The ones to develop are the ones that capture what is truly important to you, that you wish to share. When you tap into your true passion it becomes a wellspring of energy and further ideas. After I did this exercise I knew that I wanted to be a professional artist. At the time I was working as a digital designer so there seemed to be a long path ahead of me to make this transition in my career. I started by setting up a professional studio space at home and spending as much of my free time there as possible. I also wrote posts (like this one) to clarify my intentions and show commitment to my path. Today I am a full time artist. I work on PaintStories (the stellar idea that gradually evolved in my practice) and I am selling my work on ETSY. I have had four major exhibitions in the last 2 years and have recieved media exposure and lots of positive feedback from people living a painting lifestyle. Once you know what makes you tick, share it with the world. You will need a website in your own name. Regular posting on that subject will appeal to a global niche audience. Growing an Ideas Domain in your own name is a sustainable business model in the Global Ideas Economy. Through this domain you can change the world. Download a blank What Makes Me Tick Template and find your important idea. See video : Dare to Imagine: What will The World Look Like in 50 Years (created by the Skoll World Forum).